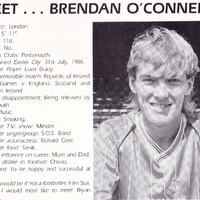 O’Connell began his career with Portsmouth, signing a professional contract for them in 1985, however, he never made a league outing for the Fratton Park club and in the summer of 1986, moved to Exeter City on a free transfer. 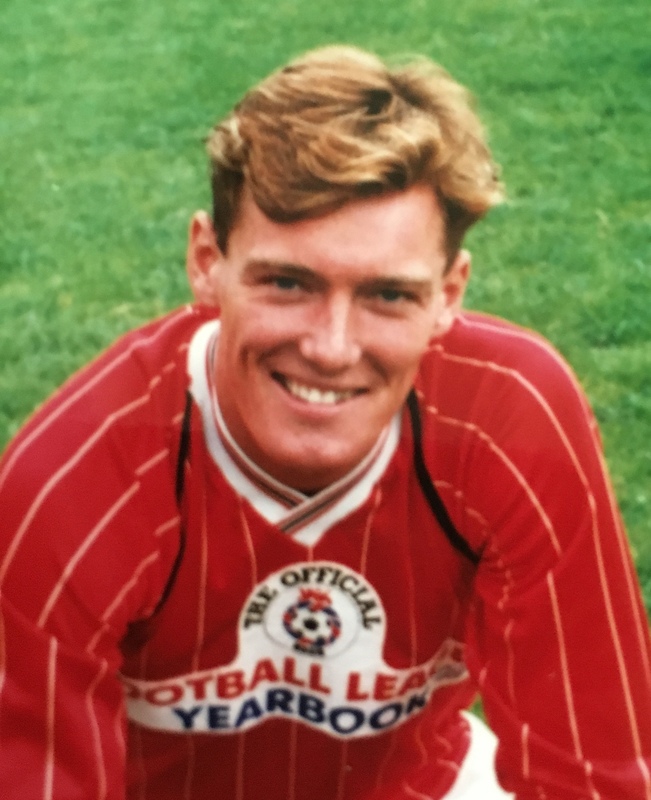 He made his Grecians’ debut on the opening day of the season against Orient at St James’ Park in August 1986. In his first season at the club he made 42 appearances (8 of them as substitute), scoring 8 goals. 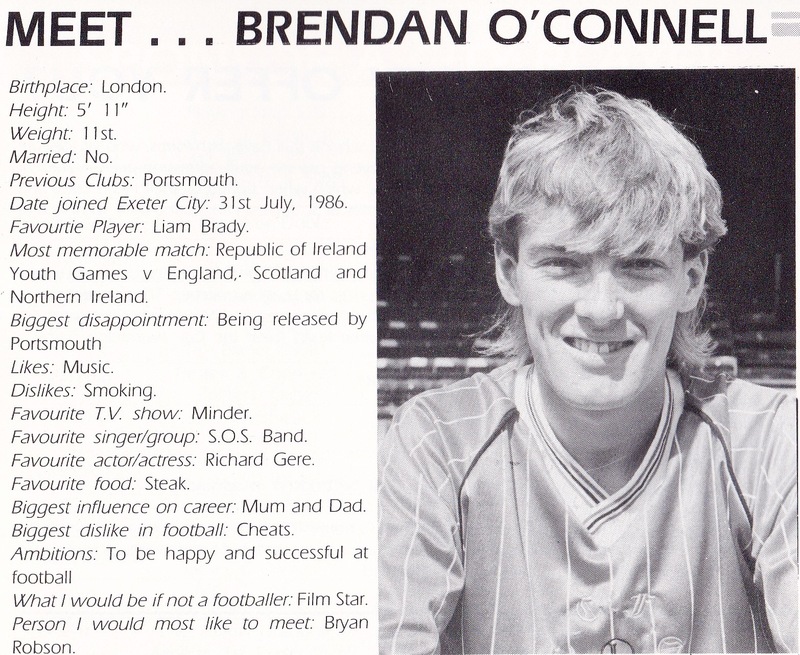 O’Connell was second in the City goalscoring charts in 1987-88 with 11 goals as the team finished a lowly 22nd in the Fourth Division. At the end of the season he signed for Burnley. 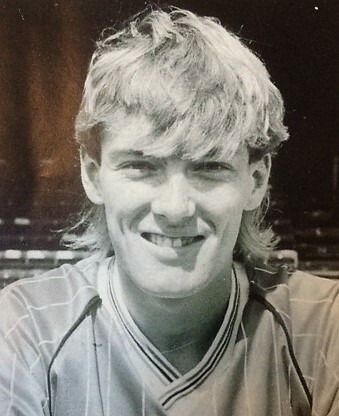 He again spent a couple of seasons with the Turf Moor club where he netted 17 goals in 64 league outings. He also had a short loan spell with Huddersfield Town. 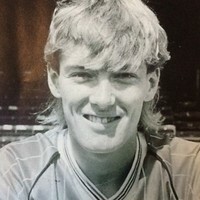 His next move was to be the best one of his career as he linked up with Barnsley for the the start of the 1990-91 season. He was to go on and make 240 league appearances, scoring 35 goals. His next club in 1996 was Charlton Athletic, where he added two more goals in 38 league appearances. He then moved to Wigan Athletic and netted five goals in 17 games. 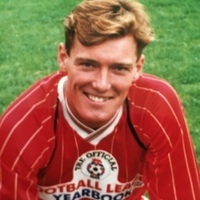 O’Connell made a playing comeback with Rossendale United in 2001 and then finally linked up with Northwich Victoria in 2003 where he was player assistant manager.